Reflects up to 60% of the total radiation generated by the sun – that means cooler summers! 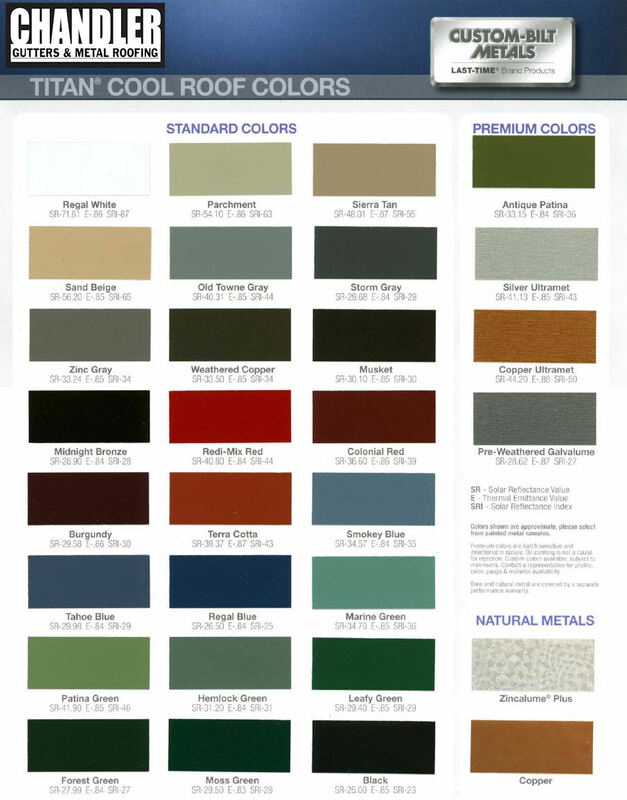 With a TITAN® Cool Roof, you’ll add value and beauty to your home or building, and will have the added bonus of investing in an environmentally-responsible product. So, how exactly do we make and install your standing seam roofing panels? With the use of the TITAN SL-100 machine, panels are fabricated on site according to custom specifications in continuous one-piece lengths. The panels are self-locking to ensure a tight seal against the elements in an attractive finish. The SL-100 is available in 25 colors featuring TITAN® COOL ROOF Reflective paint system. This system offers an incredible 35 year no fade warranty. When choosing a style, keep in mind the fascia board of rafter tails are always the deciding factor. We can help you decide which style is best for your home or building.